Do you need new keys for your car? City Locksmith Services has been providing automotive – as well as business and residential- key cutting services to Fresh Meadows, NY for a number of years. We are specialists at key duplication and key replication and we can have your keys cut for you in no time. 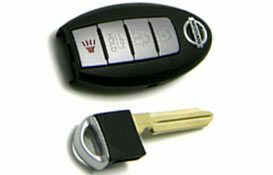 We can also provide you with new transponder keys or reprogram your old ones at an affordable price. We pride ourselves for providing a high grade of workmanship and quick turnaround times. If you need a transponder key made, call us today on 718-673-6779!